للمسافرين الذين يرغبون أن يعيشوا كل ما تقدمه المدينة، Collingrove Homestead هو الخيار الأمثل. يمكن من هنا للضيوف الاستمتاع بسهولة الوصول إلى كل ما تقدمه هذه المدينة النابضة بالحياة. يوفر الفندق بفضل موقعة الجيد وصولاً سهلاً إلى أهم معالم المدينة.
. إن الخدمات التي يقدمها Collingrove Homestead تضمن للنزلاء إقامة مريحة. يقدم الفندق فرصة للاستمتاع بشريحة واسعة من الخدمات بما فيها: صف السيارات . في الفندق غرف نوم يتجاوز عددها 5، كلها مجهزة بعناية وجمال وبعضها مزود بـ مرآة, غرف لغير المدخنين, تدفئة, مروحة, أدوات مطبخ. يمكنك الاستمتاع بالأجواء المريحة التي تقدمها سبا, ملعب تنس, حديقة طوال النهار. يشكل Collingrove Homestead بخدماته الراقية وموقعه الممتاز، قاعدة مثالية للاستمتاع بإقامتك في المدينة. Then stay here for a day or two. The house is a rare glimpse into the lifestyle of the rural aristocracy of Australia in the early 1900s. For most of the time the other guests were not to be seen, so we could swan around pretending it was our house, and that we had sent the servants off early for the night. Our hosts were wonderful, location excellent (if you have a car), and house full of interesting bits and pieces, ranging from photos of our time at Magdalen college Oxford through to tiger heads and cheetah skins from out time in Africa. Memorable stay. The hosts went out of their way to be helpful and provided a most enjoyable stay. The information and access provided to one of the state's most historical homes was as rewarding as much as it was a surprise. The period authenticity of the accommodation was welcome but not to the extent that it interfered in any way with comfort. We'll be returning - Thank you Marcia and Andrew for your hospitality. Pros are beautiful setting and historical facilities for that price I was expecting something better maintained and restored. Could be made very classy and cosy. Breakfast was beautifully cooked and fresh. Staff very friendly and hospitable. Andrew and Marcia were welcoming, knowledgeable and very professional. The homestead is beautiful and absolutely complements a trip to the Barossa. Beds are amazingly comfortable - slept better than I have in a long time! Breakfast is one to go back for! Thanks guys! 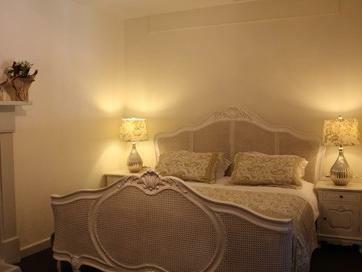 We had a most enjoyable stay, the location is perfect - only a short drive away from the wineries. And the hospitality was impeccable thanks to our wonderful hosts! Friendly staff, awesome breakfast & huge comfy bed. homely, country style service in an old homestead that with character. Our stay was fantastic. 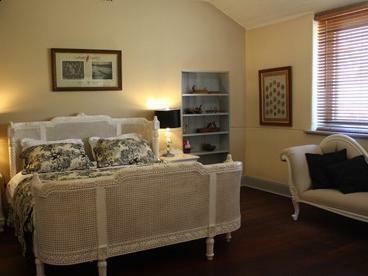 Our stay at this location certainly changed our mind in using places like the Collingrove Homestead. Full of history that we sometimes forget. I would be happy to use the place again. we loved our stay. the couple who runs the place are very accommodating and friendly. the wife cooks an unbelievable delicious gourmet breakfast each morning. the breakfast setting is on a charming verandah overlooking the property or in one of the rooms in the unique historic house. our room was the school house and i found it very charming. the bed was big and super comfy. calming crisp traditional decor. one of the highlights of our stay was the hot tub in one of the old barns i believe. they have a huge candelabra set up for you with clean towels next to the tub. perfect romantic night after a day of wine tasting. it's convenient, romantic, clean, and cosy. couldn't say enough good things. we will certainly return someday. It was a lovely stay. A very peaceful place to be an you feel like you've walked into a little piece of history, far removed from the hustle and bustle of city life. 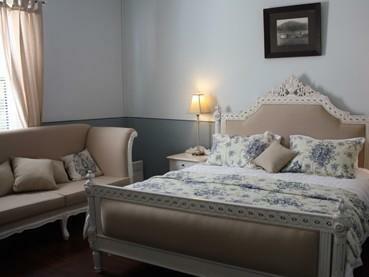 The rooms were warm, cosy and romantic. Only down side was shared bathroom that didn't connect to the room, and no television in our room. Otherwise we loved it. Stayed here on our wedding night and the following night to wind down. Very relaxing, absolutely beautiful grounds and staff that really look after you and are keen to please. Awesome breakfast. Absolutely beautiful spot to stop if you are doing a self-guided tour of the Barossa. Only negatives (minor): for people who are used to hotels - there is no fridge or food facilities at all in the room - however there are tea and coffee making facilities in the TV room. (No TV in the room either, but great TV room with a small but interesting range of DVDs.) It is a little way out of Angaston so I would recommend having a car. Taxis are available but there are not many in the area so there can be a bit of a wait. We were the only guests when we stayed there. We were given tea on arrival and a tour of the historical home. Our room was lovely. The manager gave us information on the local wineries and historical sites and maps on how to get there. The breakfasts were delicious and just as ordered. It is a very quiet and peaceful location. I don't have complaints about the service, location or accommodation - it was simply too expensive for what you get. We stayed in one of the rooms that has a shared bath - for I expect my own bathroom. And the room while nice was quite small, nothing spectacular. The breakfast was nice, but basically just eggs, bacon & toast - nothing gourmet. The staff was, again, nice, but didn't go out of their way to welcome us, provide advice, chat etc. Yes, I know Australia is expensive, but I have traveled here extensively and expect more at that price point. Friendly, responsive hosts -- who are also great cooks. We absolutely loved the Barossa Valley and all it had to offer -- and this base could not be improved upon in terms of location and quality or its friendly hosts who were ever responsive to needs, recommendations or requests. It was a great glimpse into the past with today's comforts. 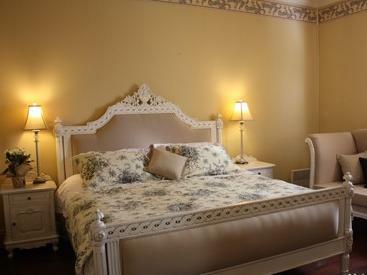 Romantic and private -- a perfect way to begin spring in the valley! A slice of Australia's history (Collingrove is a national trust property) also serves up immaculate French styled accommodation and a degustation menu that is amazing. Warm and friendly staff, a french trained chef and even a dog! This is bliss. emma and zac went out of their way to make us feel welcome. zac cooked a beautiful breakfast. 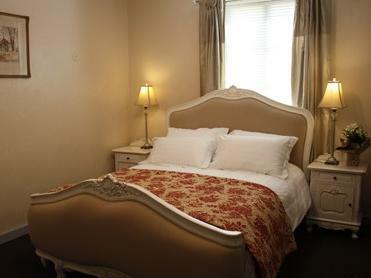 the room was clean and comfortable and there was great attention to detail. grounds are maintained perfectly. we thoroughly enjoyed our stay.